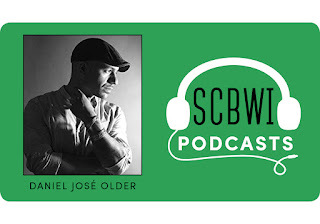 Daniel José Older is the award-winning and best-selling author of middle grade, young adult, and adult books, including Shadowshaper, Half-Resurrection Blues, and Dactyl Hill Squad. 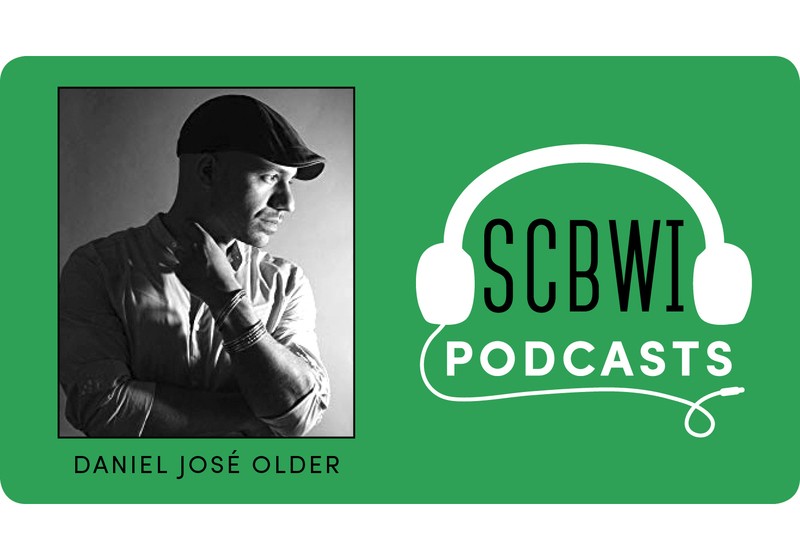 Daniel speaks with Theo Baker about craft, process, diversity, "the secret heart of your story," and much more! ...we are a nation and a planet in crisis and we must each use our resources to create the world that we want to call our own. 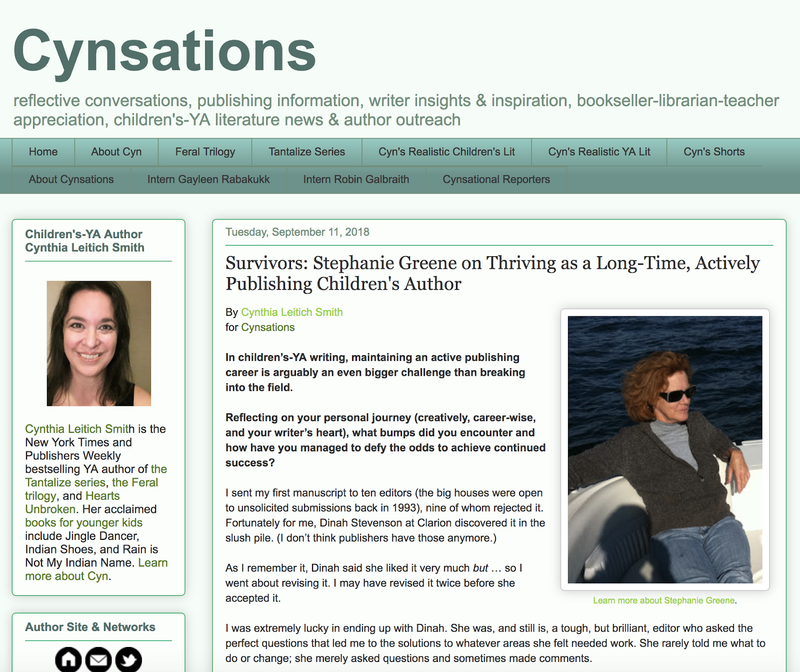 There was a time in my life when I sat at my writing desk to spend a few hours each day, looking inward, telling my story. This was art, of course. 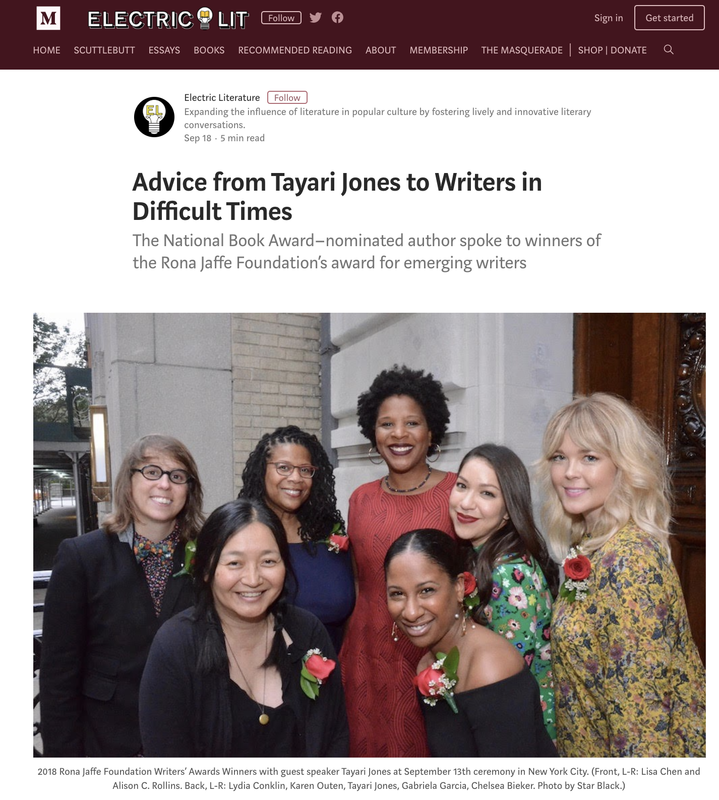 As the descendants of Africans held in slavery in this country and denied literacy, sometimes at the penalty of death — I believed that whatever I might write was an act of defiance. And it was. And it is. 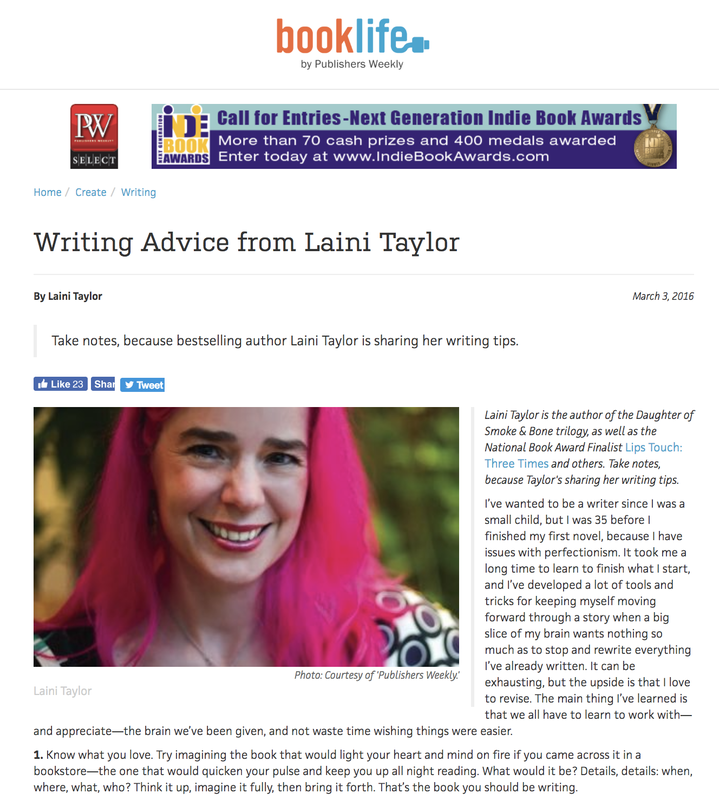 My message to you today is not just advice for writers and artists. This is a call to action for all of us, each according to her ability. This is a plea for truth telling in all of its complexity. I am asking you to be brave enough to forsake likes and shares in favor of revealing potentially unsettling realities. I push you to responsibility, but I don’t want to deprive you of the delight of creation and the pleasure of your imagination. Rather, I urge you to find and claim your voice, mission, and joy all at once. Rejoice in resistance. Seek out the satisfaction of hard work. Learn to revel in forward motion. Read the full speech at Electric Literature here. It's a dream, isn't it? Having a book club choose your book to read, and then discuss? Yet what are all the ways you can find book clubs that might be interested? 1. Ask librarians, both public and school, if they have a student book club. Or an adult book club that reads children's or teen books. 2. Ask Bookstores if they host a book club that might read your category of book. 3. 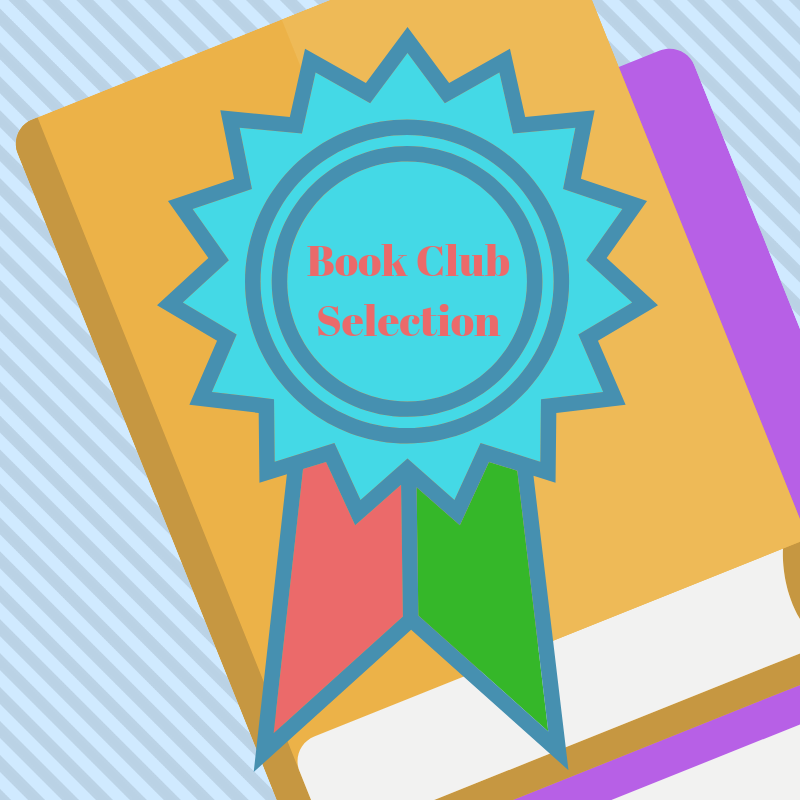 If you're already connected to a group that has regular meetings, can you convince them to become a book club for one meeting for your book? 4. Try searching meetup.com and/or reader's circle. 5. Explore Goodreads for book clubs. 6. Find a "mentor text" - a recent book in your category with the same target audience, and do some internet searches for that book title and the words "book club" -- the book clubs that chose that book might be interested in yours, too! 7. Imagine you are searching for a book club. Who would you ask? Where would you look? Try those people, online, and real-world locations, and see what you can discover. And of course, ask your fellow illustrators and writers in the SCBWI community! Chime in here, in comments, with your own suggestions for how to find book clubs that might be interested in your book! Get all the details here, and good luck! 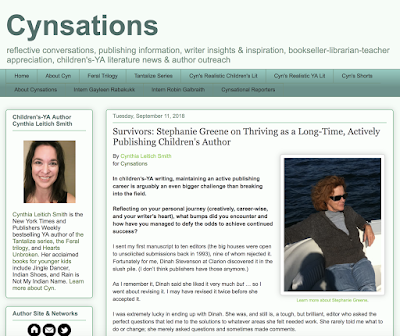 In this excellent interview at Cynthia Leitich Smith's Cynsations, Survivors: Stephanie Greene on Thriving as a Long-Time, Actively Publishing Children's Author, Cynthia asks Stephanie (the author of four series) to share some insights into writing series. If you have a concept, develop it in one book and see what happens. ...is to develop a “hook.” That’s a feature about the character that can be repeated in subsequent books. Many series employ this device. The trick is to make it an intricate part of the story and not a superficial tag-on. I inadvertently created my Princess Posey (G. Putnam's Sons, 2010-2018) series of early chapter books because I gave the character in the first story - what was meant to be a stand-alone book – a hook: Posey’s pink tutu makes her feel brave. It was my editor’s decision the tutu [hook] could carry a series. 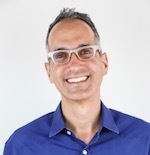 In all instances, the focus is to create the best possible book one, knowing it might be a stand-alone, and aiming to make it as good as it can be. It's a wide-ranging interview, well-worth reading in its entirety. Thanks to Stephanie and Cynthia! 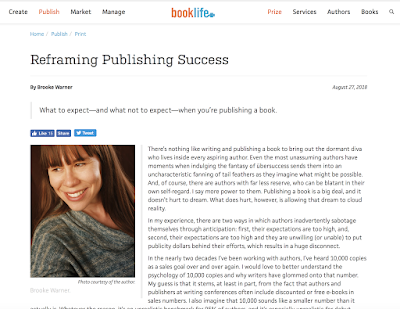 How Many Copies of Your Book Have To Sell For It To Be Considered A Success? The easy answer is "enough to earn out your advance" if you're traditionally published, and maybe "enough to earn back your investment" if you're financing publication yourself through either hybrid or author-publishing. 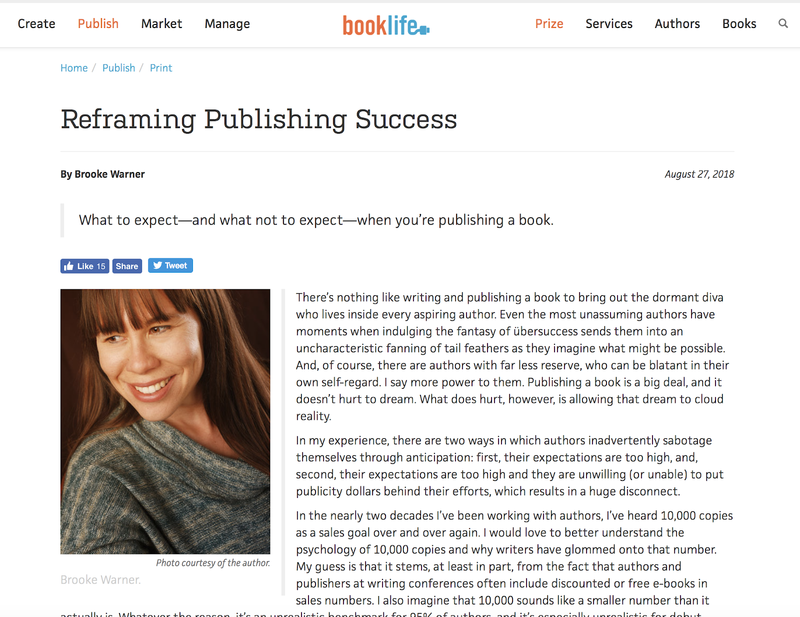 The more complex answer, according to author and publisher Brooke Warner of She Writes Press, in this article Reframing Publishing Success in Publishers Weekly's BookLife, is an honest look at numbers. It's an article well-worth reading. 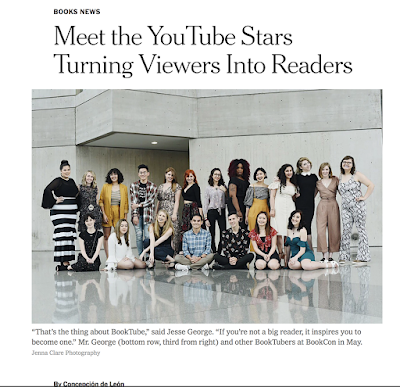 Who are the booktubers YOU follow? YouTube videos on books. The people that make them are called "Booktubers." They're reaching teens. They're reaching hundreds of thousands of readers. 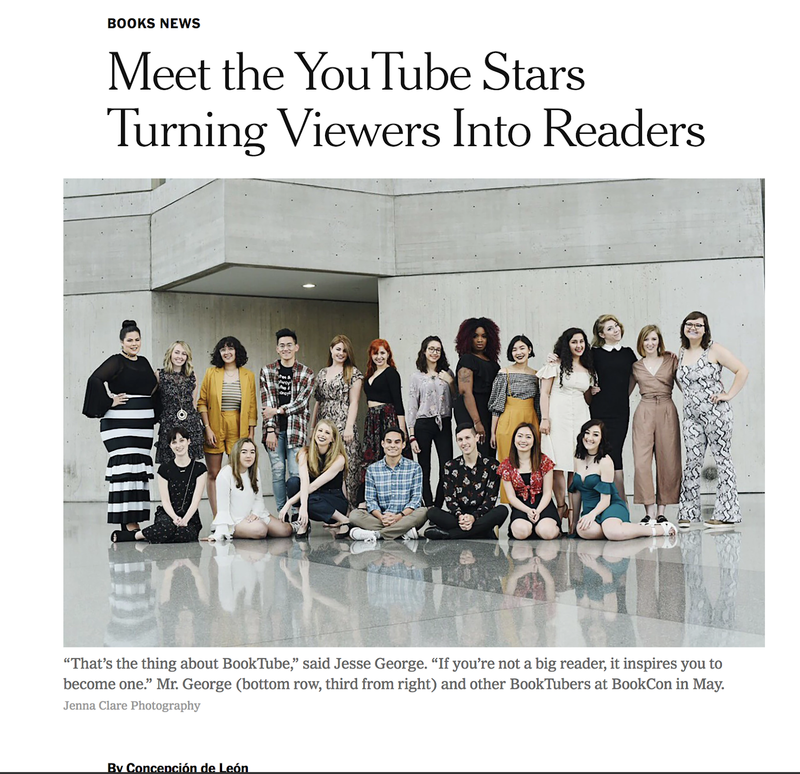 In this New York Times article, Meet the YouTube Stars Turning Viewers Into Readers, Concepción de León introduces those not in the know with some of the biggest Booktubers reaching "millennial and teenage audience." Who are your favorite Booktubers? Are they on your radar to reach out to about your next title? Never sit staring at a blank page or screen. If you find yourself stuck, write. Write about the scene you’re trying to write. Writing about is easier than writing, and chances are, it will give you your way in. You could try listing 10 things that might happen next, or do a timed freewrite—fast, non-precious forward momentum; you don’t even have to read it afterward, but it might give you ideas. Try anything and everything. Never fall still, and don’t be lazy. Go read the full article here - it's well worth it.